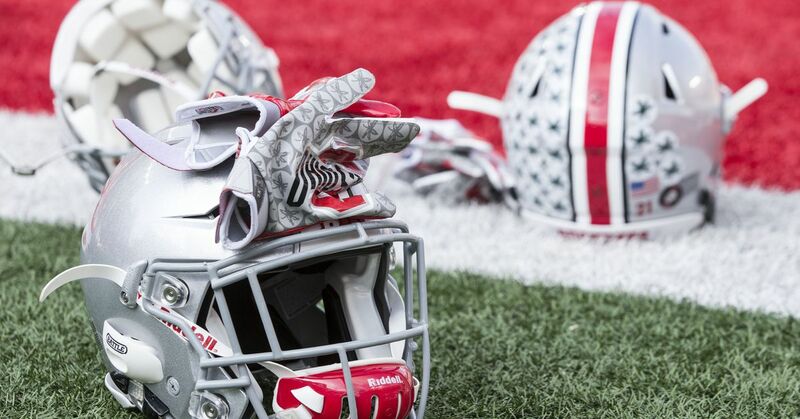 Believe it or not, Ohio State Buckeyes is about to hold their spring game in a few weeks. With practice flying past, Buckeye's early preparation for the 2019 season is not only well underway, but halfway. As the new staff continues to look at things from every angle, it is clear that Ohio State will have another very talented roster. As the team continues to gel and the top guys put their starting roles, this team will really begin to take shape. Another aspect that always takes shape is Buckeye's hosting top recruits apparently every day in the spring. With yesterday being another opportunity to show potential players what Ohio State has to offer, Ryan Day and his crew are doing everything they can to build big classes by 2020 and beyond. Ohio State's commitment to bringing more top offensive linemen into the 2020 class is evident. Day has said from the beginning that this 2020 class will be very heavy in the position group – and rightly so. When Buckeyes is on some best guys from across the country, it's important to get them on campus to see what the program really has to offer. Yesterday, a top view, Buckeyes would love to add to their 2020 class wrapped in their unofficial campus visits and it seems as if all things went very well between the two parties. Zak Zinter, a 6-foot-6, 300-pound Massachusetts native was on campus to see Buckeyes. Coming in as the country's No. 23 offensive tackle in the class, according to the 247port compound, Zinter has nearly 30 offers from schools such as Notre Dame, Florida, Auburn, Penn State, Tennessee and OSU. Interestingly, Zinter is not really linked to any program exclusively. If Buckeyes wants to be a legitimate candidate for his services, they will certainly do well with the unofficial visit. When recruiting, you not only recruit the player but the whole family. Having the Zinter household on campus is a big step in the right direction, until the two sides really develop a comfort and strong relationship. As it stands now, Buckeyes has been committed by two offensive tackles, but is likely to take one and perhaps two more at the post. If Zinter is a player who wants to be Buckeye, the staff will definitely welcome him with open arms. Fourteen 2020's defensive back Clark Phillips III, (La Habra, CA / La Habra) started an unofficial visit to Ohio State yesterday. The country's fourth best cornerback in the class, this is a great opportunity for Buckeyes to impress a perspective in a situation of serious need. Three-star 2020 athlete Terry Lockett (Geneva, OH / Spire Academy) made the state trip to visit Buckeyes yesterday. Lockett is Ohio's ninth best view of the 2020 class. He does not currently have a Buckeye offer.